That the Apocalypse of John is a "Revelation of Jesus Christ" (Rev 1:1) is a fact too often overlooked by interpreters of this last book of the Bible. As Msgr. 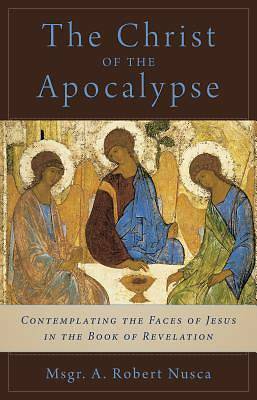 A. Robert Nusca's The Christ of the Apocalypse: Contemplating the Faces of Jesus in the Book of Revelation proposes, beyond predictions of earthquakes and falling stars, St. John articulates from start to finish a multifaceted and compelling portrait of Jesus Christ. Nusca offers an exegetical reading of selected verses of the Book of Revelation, incorporating rich spiritual and pastoral reflections. The Christ of the Apocalypse above all affirms that St. John's God- and Christ-centered, symbolic universe offers our contemporary world a spiritual place to stand amid the shifting sands of postmodernity.